The Streamr Community Fund — you take the wheel! In line with doubling down on our commitment to decentralization across all areas of the Streamr project, we’re excited to launch our Community Fund. 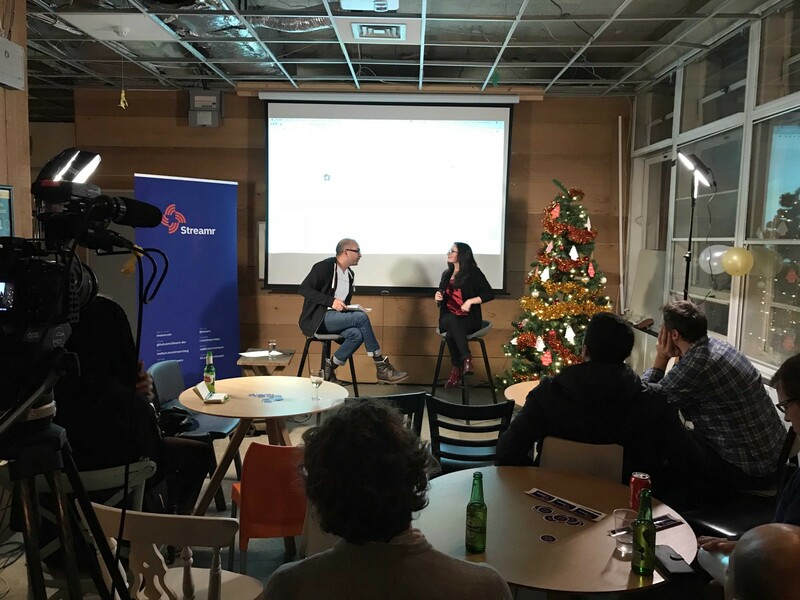 We hope that this fund will give you, our supporters, much greater autonomy to shape and create initiatives that will use or promote Streamr’s technology and broaden out those in our community. We’ve already seen many great examples of community projects showcasing our tech stack, connecting us to potential partners, and spreading the Streamr message. Now we want to give everyone real resources so the community can take a far more active role in helping the Streamr project grow. Share your proposals and get funded on the community forum! Funds are available in Streamr’s cryptocurrency $DATA and allocated by elected administrators to support project’s aligned with our aims. The total initial endowment of the fund will be 2,000,000 in $DATA. This endowment is expected to last at least one year from the start of the fund (price fluctuations may initiate replenishment of the fund). Streamr is committed to keep the fund going for several years if it proves successful (as deemed by Streamr) in its first year. For any spending which goes above $1000 USD equivalent in $DATA, administrators are asked to consult the community through a public vote. Decentralized tools such as ClearPoll and community voting system or Gitcoin and/or The Bounty Network to allocate the funds are recommended as part of our Web3 1st ethic. A total of five administrators will manage the fund including one core team member from the Streamr team who will have the right to veto any item of spending and ensure the fund stays within its remit. To start with, two administrators will be elected by the community for six months and two will be selected by the Streamr team for six months. After that, all administrators, apart from the core team member, will be elected for a six month period (with a limit of 2 years) with elections therefore taking place every six months for two candidates at a time. For work carried out, community appointed administrators will be paid $250 a month in DATA equivalent (the amount is subject to upward only revision after year one). This payment will not be taken from the endowment fund and will be separate to it. The election process will be managed by the community administrators themselves but aided by Streamr’s team member. You can nominate yourself to become a community administrator here. Comment on the thread and introduce why you’d make a good candidate, any ideas for growing the project, and your Telegram handle. After a week, we’ll add the eight Telegram handles with the most thumbs up on Reddit to a polling bot and share it on the Streamr Telegram for a final week of voting. At the end of the week, the two candidates with the most votes are chosen as fund administrators for the next six months. For decision making or task reviewing, the Streamr core team fund member can be available to help but will retain final veto power to ensure brand coherence and responsibility. Official logos and branding elements can be provided to any project supported by the fund but it will be requested that all community initiatives use only official logos and design elements according to our brand guidelines. Streamr will set up a multisig wallet for the administration of the fund. The allocation of the keys will be representative of the administration outline detailed above. The existing Streamr subreddit can be used for fund project suggestions and collaboration. This is supplemented by the Streamr Dev forum for Dev specific tasks. Projects are proposed on the Streamr Reddit and discussed publicly. Ideas can be sourced from the community and fund managers in a public ideas thread and the main telegram. Reddit thumbs up is used as a general barometer of which projects to focus on. Active projects can then be given their own thread for collaboration and to track progress. Other tools, such as Trello, might be used at the discretion of contributors. The Community Fund is distinct from any future bounty programmes launched internally by the project. These are simply suggestions and we encourage admins to invite the community to submit ideas and proposals of their own here— we’re sure there’s many more we haven’t thought of and those are the ones we’re really excited about! We’d love to hear your thoughts on the fund and can’t wait to see some of the ideas and suggestions you put forward. Propose away! Join the discussion on Telegram!